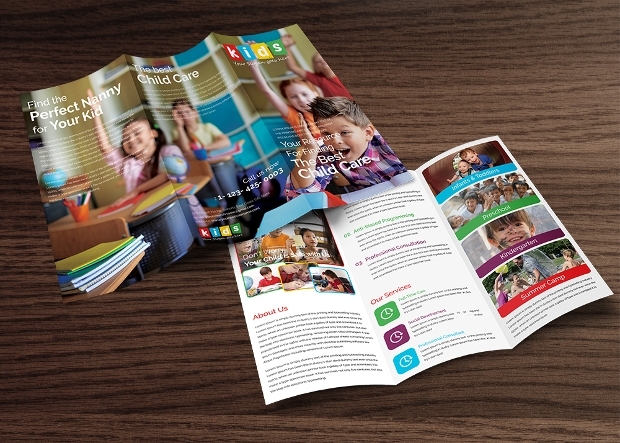 Brochures are one of the best ways to advertise your business, they put all of the information that customers need in one place. 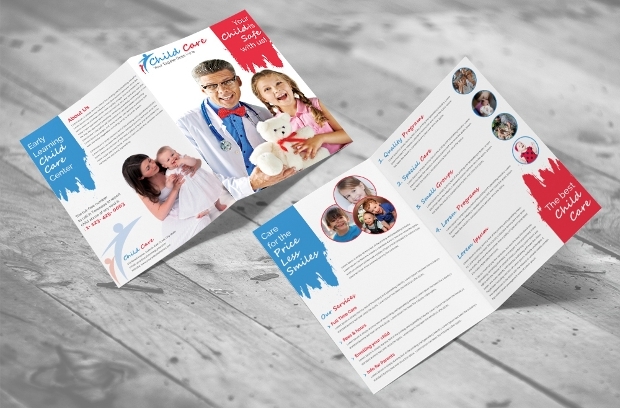 There are many different types of brochures available, and whether it is a flyer, a booklet, or a trifold brochure Templates, a brochure is one of the best ways of getting information out there. 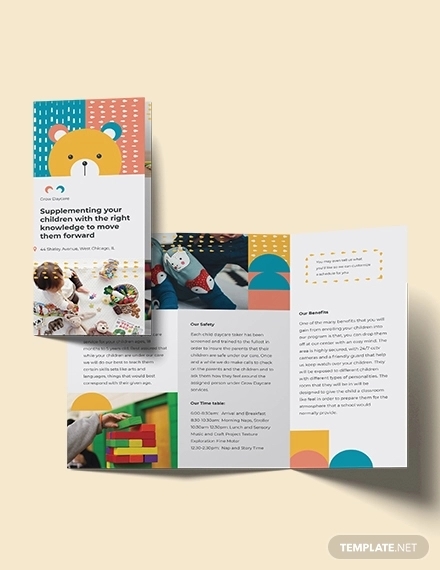 This article contains some of the most popular templates for brochures, specifically for child minding and child care businesses. 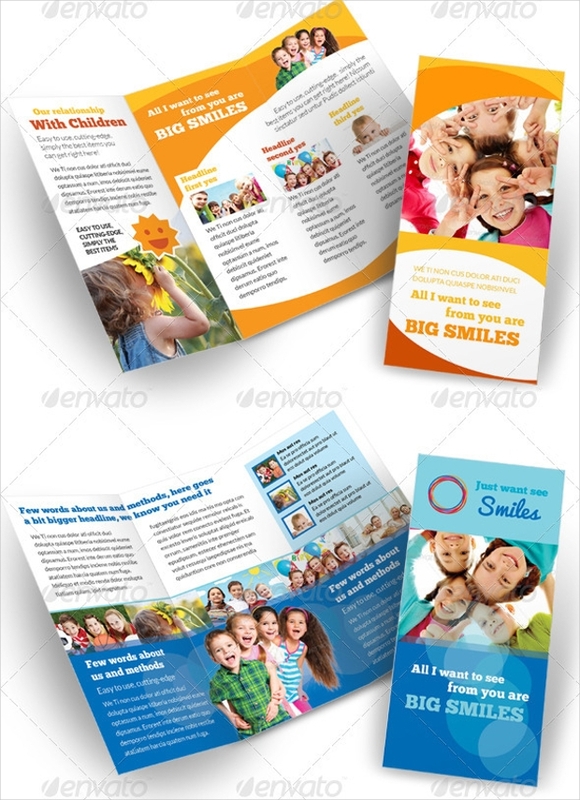 This template uses a lot of bright colors and features pictures of happy and smiling children. 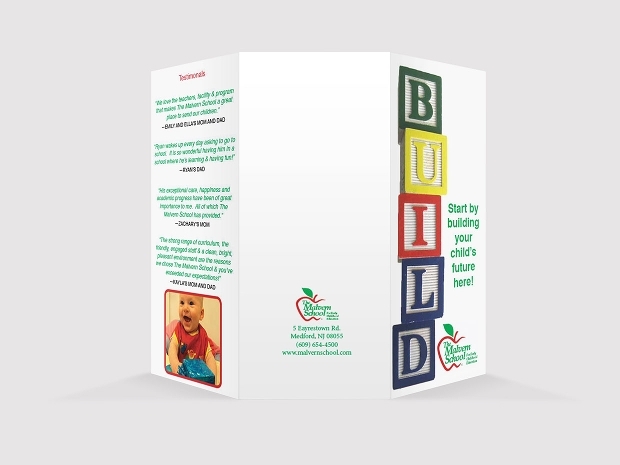 It is perfect for a day care business to show that your business focuses on children’s happiness. This childcare brochure uses pastel pinks and blues and features pictures of infants. This is ideal for a childcare business that also looks after young infants as well as children. 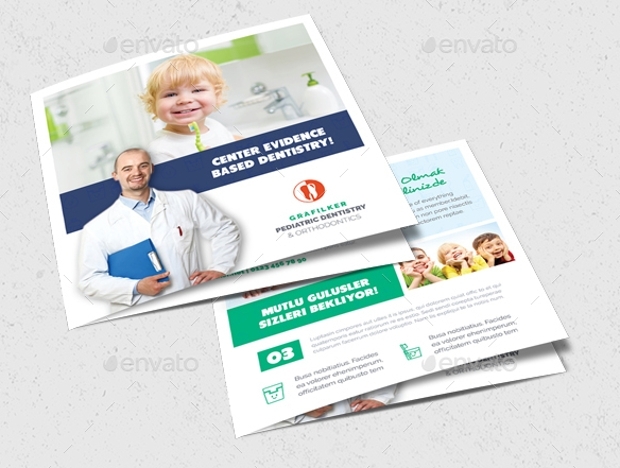 It is a trifold design so there is plenty of room for information. This childcare brochure uses bright purple and green to make the information, which is written in white, pop. The colours are also associated with children. 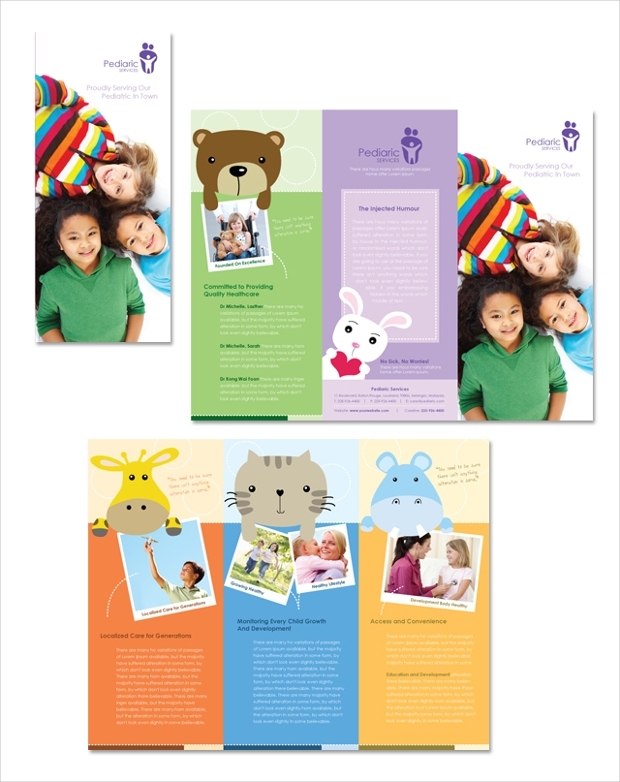 The brochure is also trifold, and features pictures of children, to show quickly what the business is about. 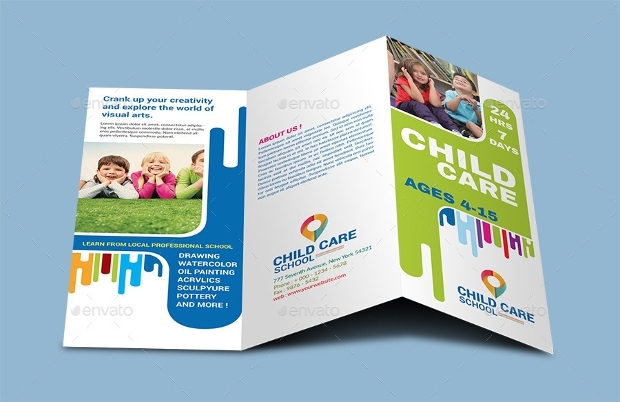 The childcare school brochure uses blues, greens, and cartoon pictures of flowers and the sky to make a childlike theme to the brochure. It is a trifold brochure, so there is plenty of room for all the information customers need. 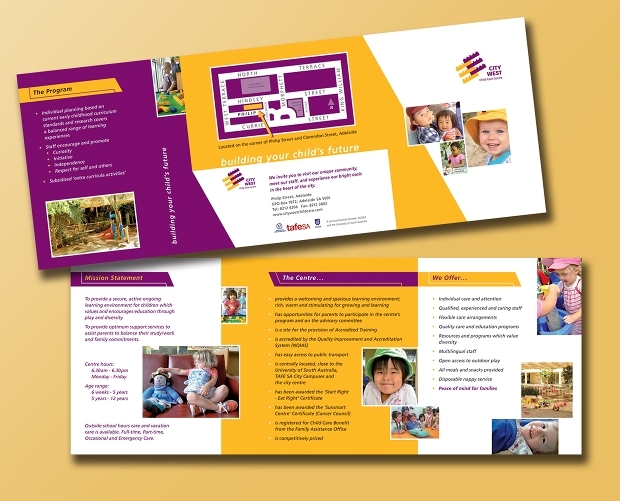 This trifold brochure uses bright colors and a simple design to present the information in a clear and concise way. It is perfect for childcare businesses who look after older children, but will also work for those who look after younger children. 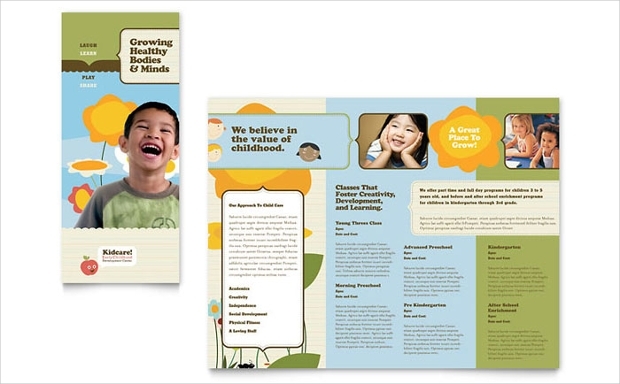 This trifold brochure uses a neutral cream background with a notebook design for the information. 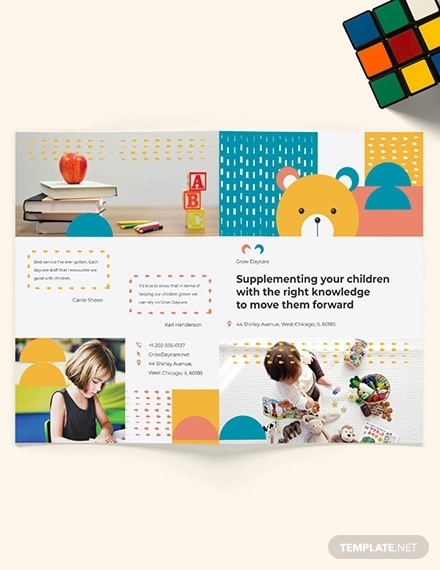 It features cartoon letters and animals in bright colors, so it is easy to see that it is a child care business before you read the information. 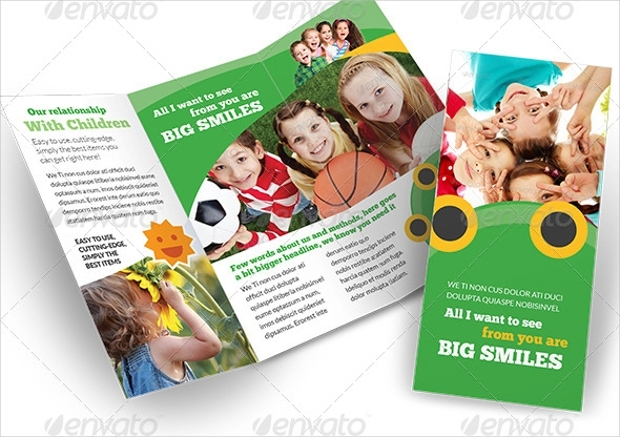 The happy kids trifold brochure uses mainly shades of green and white as a colour scheme, and features pictures of children, so it is easy to see that the brochure is advertising a child care company. 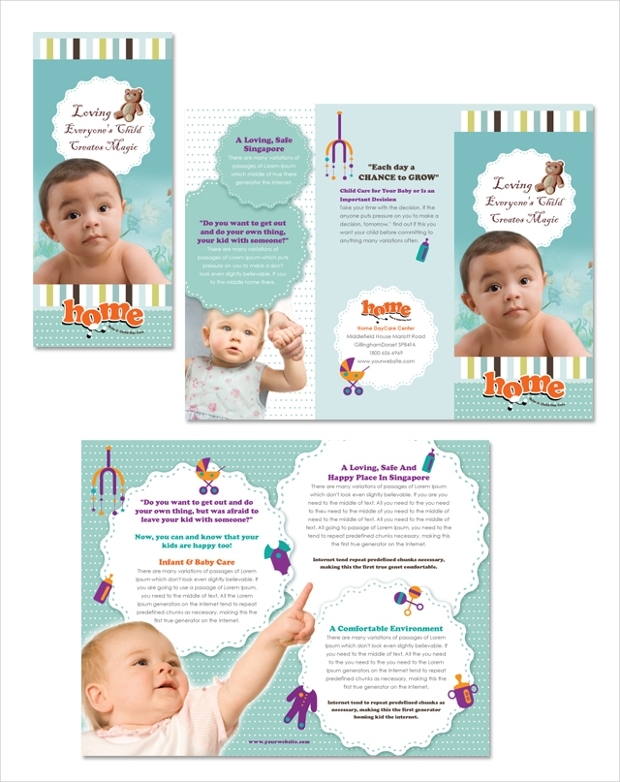 The happy baby brochure is a booklet template and uses neutral colors as a background so that the white writing is very clear. It features a picture of a baby on the front page so it is clear to see the age group that this childcare business looks after. 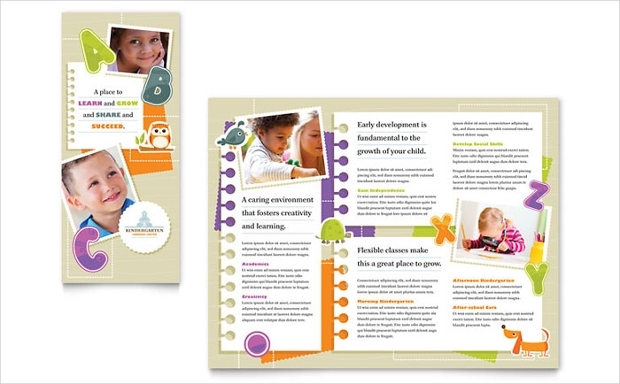 This trifold childcare template is a longer trifold brochure that folds up into a square, giving it a unique design. It features bright colors and lots of pictures so you can easily get your information across to the customer. 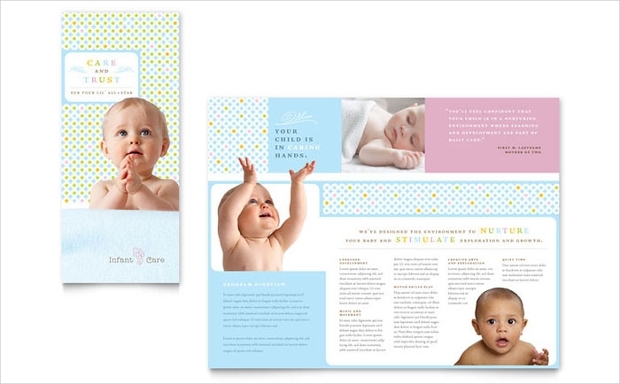 This baby care brochure is a booklet fold and uses pastel pinks and floral designs to create a childish feel to the brochure. There are many pictures of babies featured in the designs, so the age group is made clear. 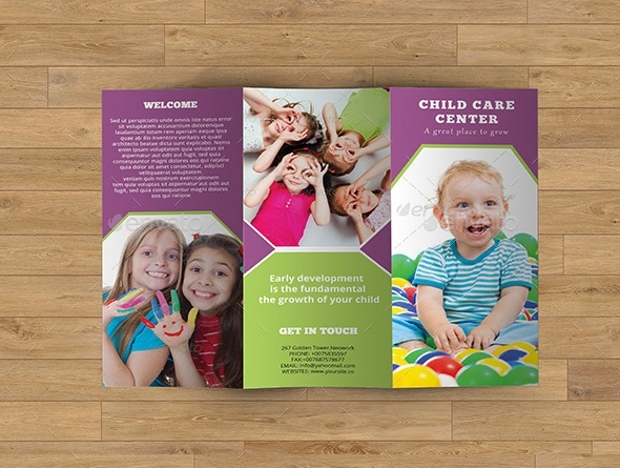 Whether you want to use a bi-fold brochure, trifold brochure, or a pamphlet design to your childcare business brochure, there are many available designs to choose from. 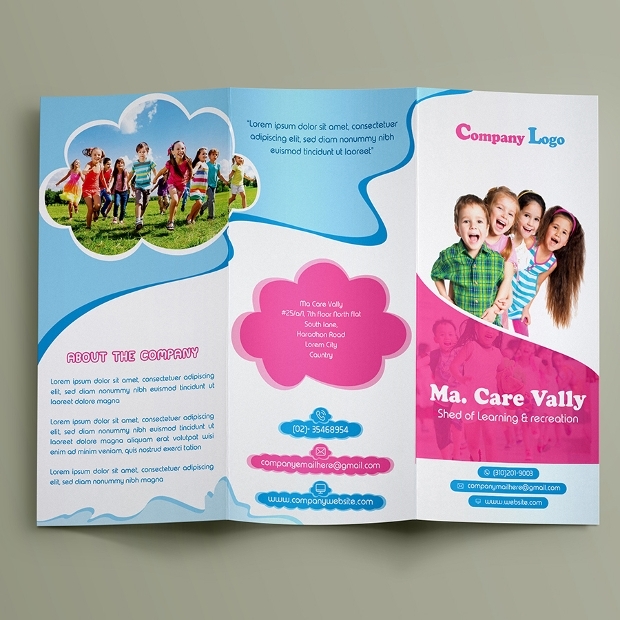 Choosing a brochure design is a great way to advertise and get the name of your business out there, and bringing the customers in.